GHOST TOWN #3 lands in stores this Wednesday, the 2nd of October, for your peeping pleasure. 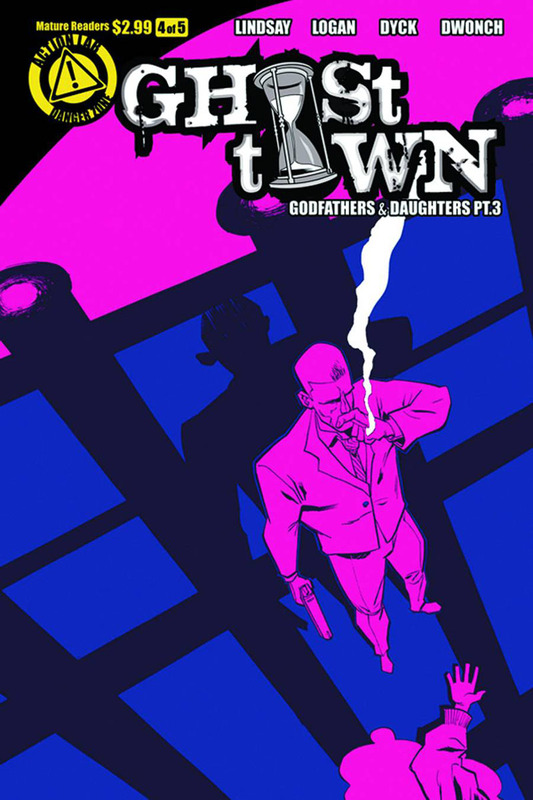 It is the second issue in the 3 part ‘Godfathers & Daughters‘ arc illustrated by Daniel J Logan, coloured by Brian V Dyck, lettered by Dave Dwonch, and written by me. It features this gorgeous cover by Justin Greenwood and Jordie Bellaire. I am incredibly proud of this issue, it takes all the moving pieces we laid out last issue and speeds them up intensely. 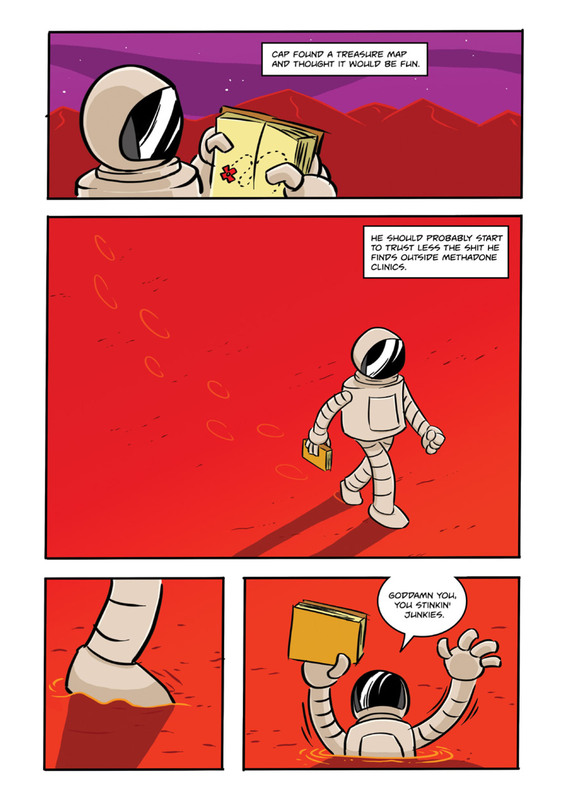 Plus, it’s got probably my favourite page from the series in it – you can decide which one it is…or ask me on twitter. As always, your decision to invest in our make believe stories means the world to us and, in the independent comics game, this isn’t hyperbole. Small books live and die on the vine due to your money and commitment and I thank every single one of you that takes the time. 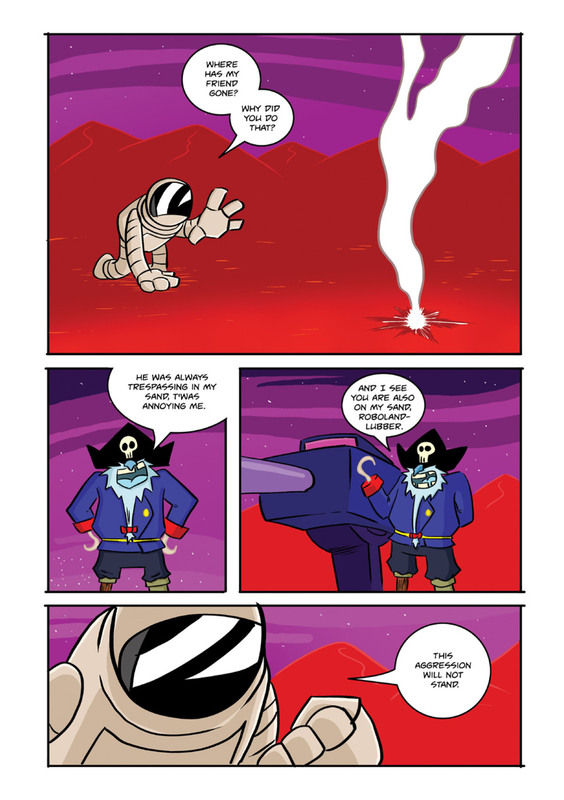 If you aren’t a print dinosaur and prefer the smooth sheen of the device screen, you can score the issue on ComiXology already so make with the clicks to buy some Ghost Town #3 online for only 99c. 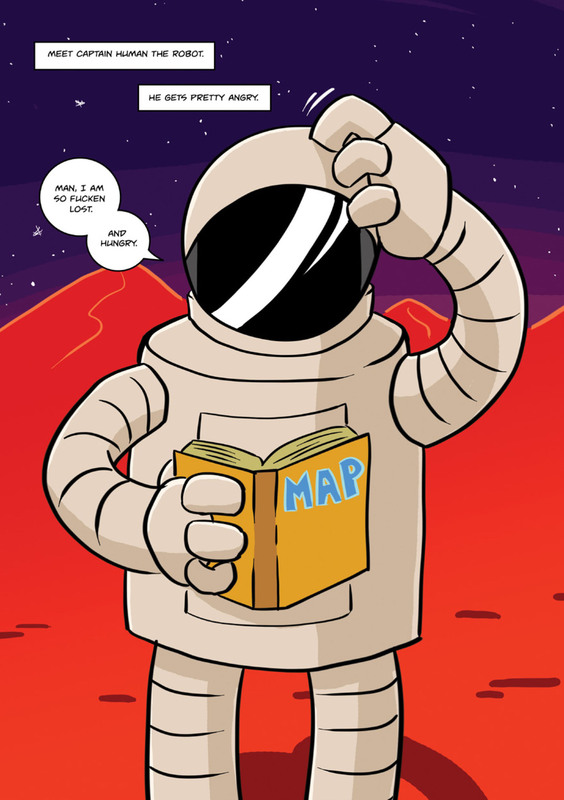 If you dig the issue, tweet, email, facebook, watercooler chat, and reddit to your heart’s content. A spread word is a helpful and appreciated word. And with this issue dropping, we now have just one issue left in this introductory arc and once you see what we do to Nate, and his new friends, this issue you won’t be able to miss out on our conclusion in November. 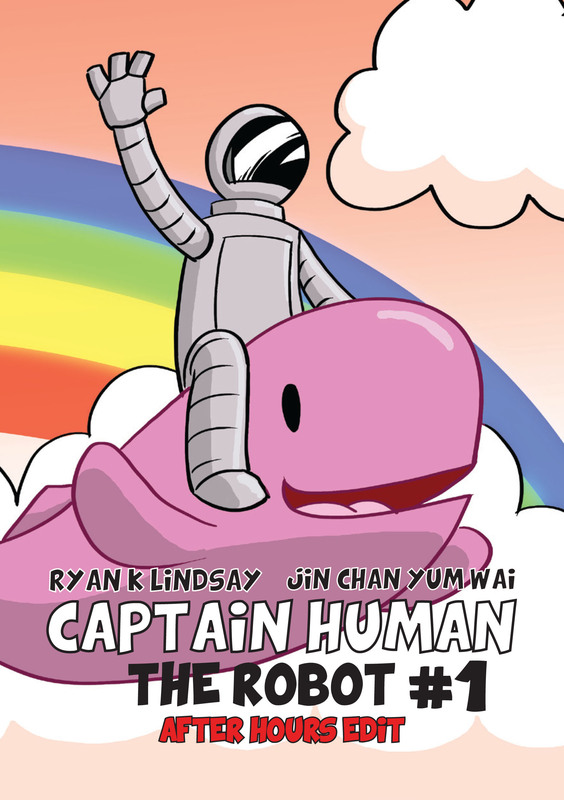 CAPTAIN HUMAN THE ROBOT – ALL AGES EDIT is an 8 page family friendly story with art by Jin Chan Yum Wai, colours by Eliaz Constantino, and words on top by Ryan K Lindsay. 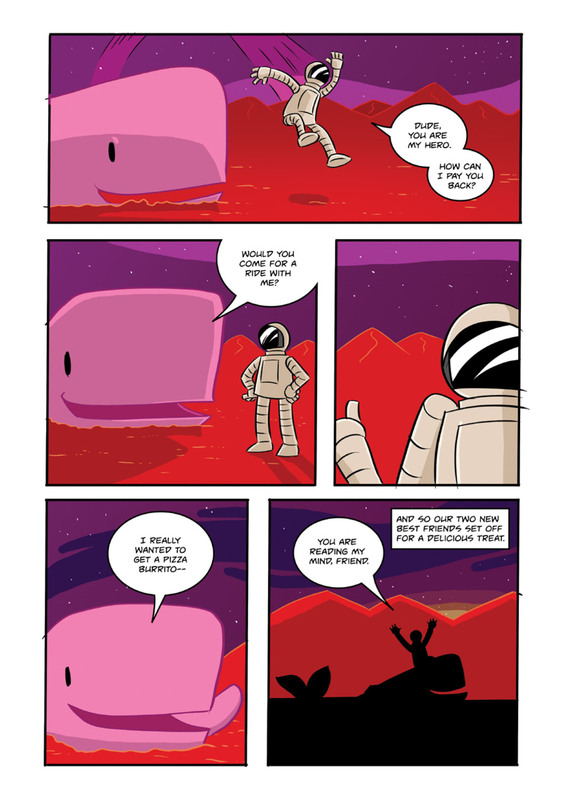 You can download the PDF version for free at Gumroad. 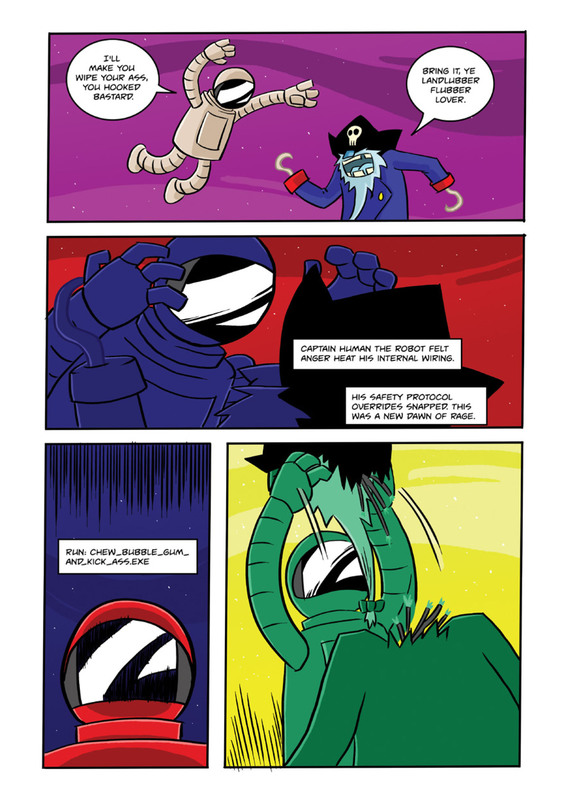 If you dig this story, you can download the PDF of it for free here: DOWNLOAD CAP HUMAN ALL AGES – and if you want to throw us a few shekels then you always can, but please do not feel obliged to. Take and enjoy, and share. I wrote a prose short story titled SCRIBBLES FROM THE UNDERWORLD which you can now find in Crime Factory 14 available through the Crime Factory site. I’m really proud of this short. I wrote it just weeks after my second was born. I spent a lot of time rocking her, sitting with her, and pacing the house trying to keep her asleep/quiet/happy/all of the above. All that pacing and holding kept me from my desk but I was not going to let that stop me writing. I wrote a few different things on my phone in those first weeks/months (a one-shot, some other scripting, some reviews and articles) but I found the small screen size and my even smaller sized brain from lack of sleep and light most of the time to not be conducive to delving into the good and deep stuff. I wasn’t going to work on any epics on my little iPhone 3. Then I saw a post on Joe Hill’s tumblr about a prose short he’d written about action figure obits – it’s awesome, scope it out – and it sparked a little corner of my brain. Then, around the same time, he was asked a question and his response was basically, write what you can when you can. Short, small, inconsequential, gargantuan, just always add grist to the mill. Both of those posts sparked me to write SCRIBBLES FROM THE UNDERWORLD. My story is actually a fictional magazine article about the writing detritus found in a Victorian pub when the cops raid it. Notes in pockets, scribbles next to the urinal, it’s all tallied. 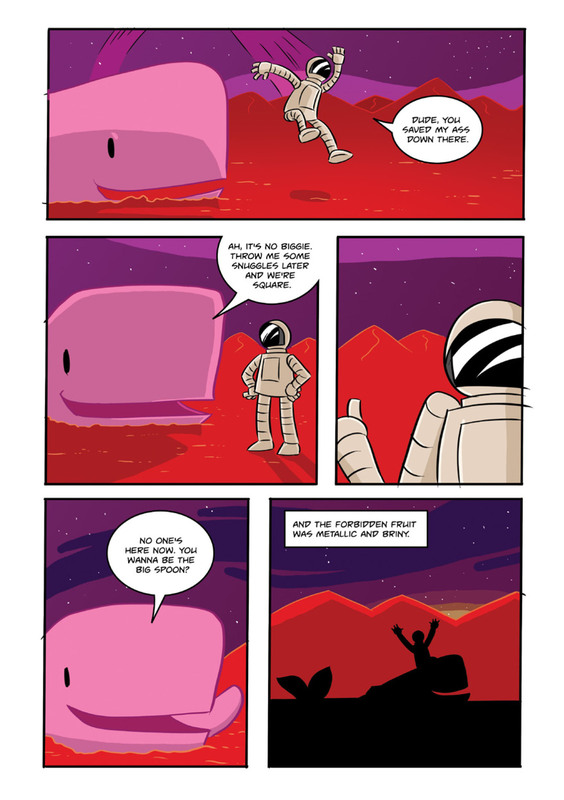 So, the narrative has no cohesive whole, but I like to think it still paints one hell of a picture. It’s not long to read but I’m sure you’ll get a kick out of it, especially if you hail from old Frankston way like I do…did. ‘On the stormy afternoon of Friday the 11th of June, 1982, a squad of police officers raided the Downtown bar and made a slew of arrests and acquisitions. A known hot spot for the Melbourne underworld, thirty-five arrests were made with seventeen successful convictions stemming from the day. History would dub this day ‘The Last Drink’ as the Downtown would shut its doors and never reopen. Those who scurried away from the long arm of the law found new places to imbibe and plan for another rainy day. The names and photos from ‘The Last Drink’ went down in history but what was never revealed were many of the material items recovered from the raid. Numbers of weapons and street value of drugs made good headlines but the little things that could fall through the cracks could and did. Until now. 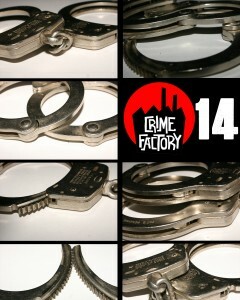 Download Crime Factory 14 – scope my story on Page 99 – enjoy yourself. You can buy CAPTAIN HUMAN THE ROBOT – AFTER HOURS EDIT for FREE right now! 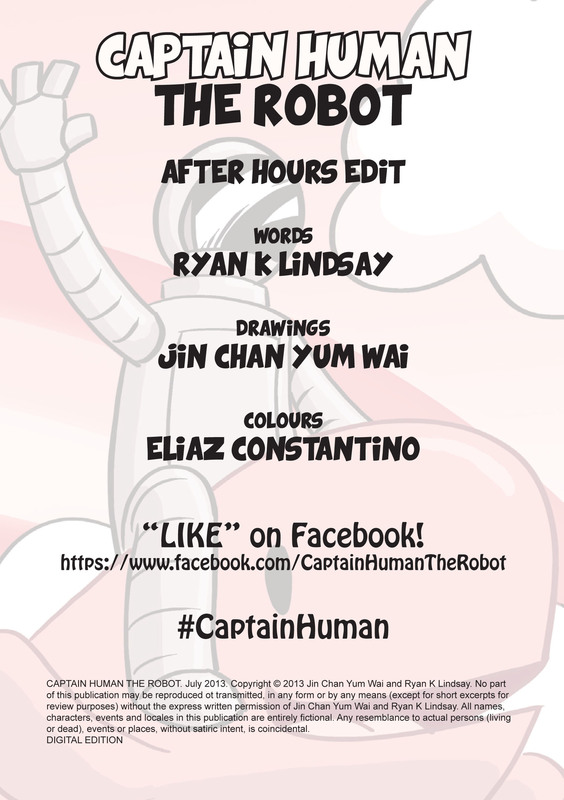 PURCHASE CAPTAIN HUMAN THE ROBOT – AFTER HOURS EDIT on Gumroad now! 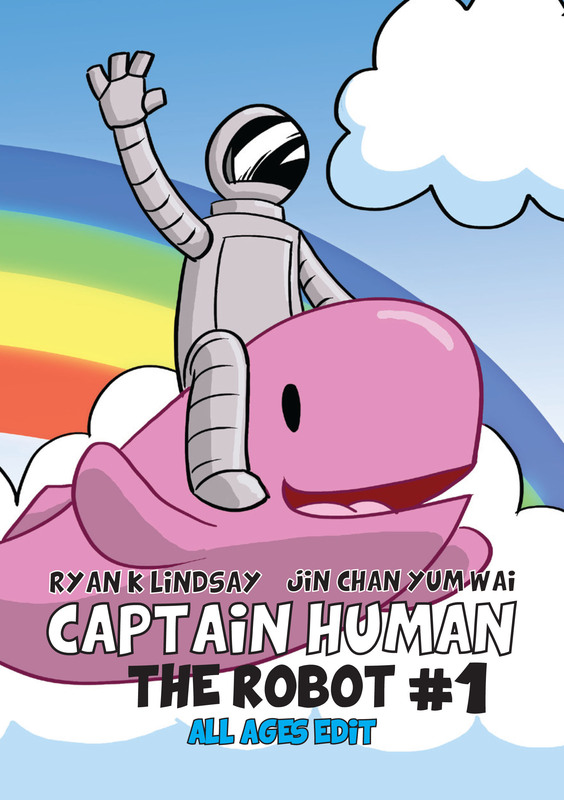 This book is an insane jam by Jin Chan Yum Wai and myself. 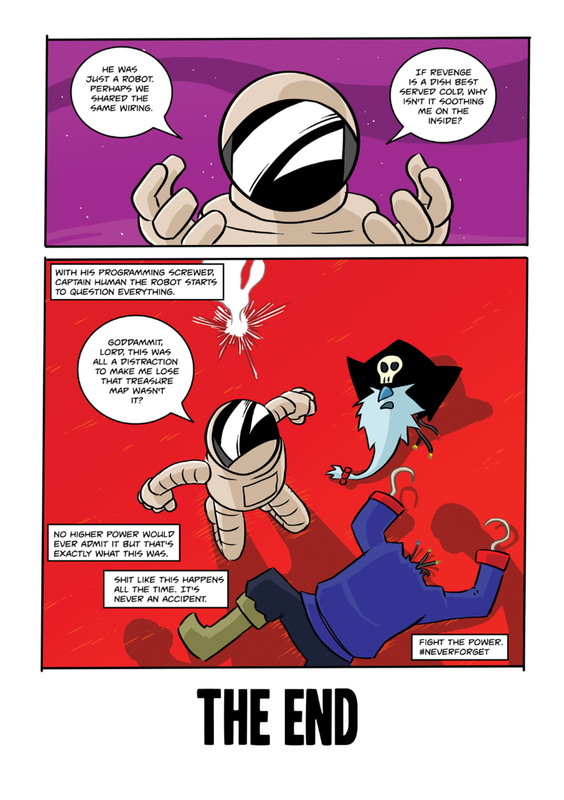 It’s slick and zany and if you dig subversive giggles then you’ll need this book in your life. It’s a little more adult oriented so make sure if you show your kids, you take the responsibility for such an action. It’s an 8 page story where Jin drew it and then I formed a story around the pages – Marvel method, if you’re in the know. 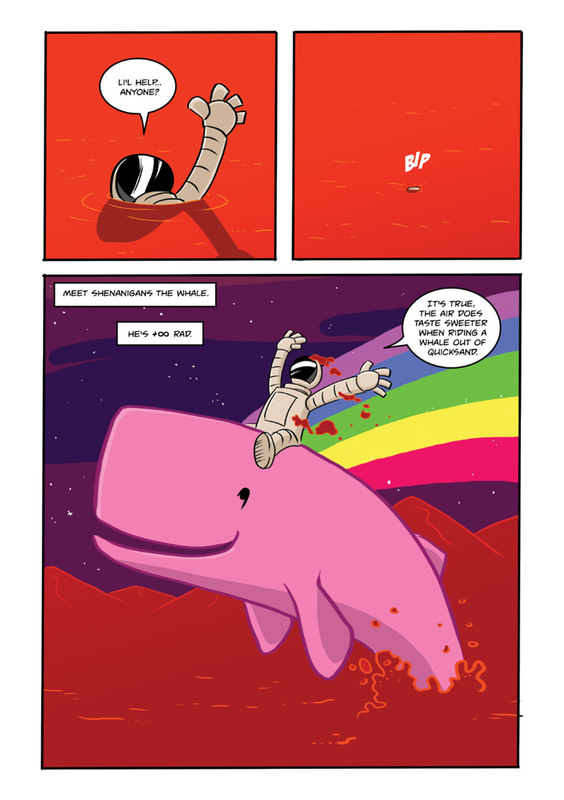 It’s wildly funny, a little messed up, and completely F.U.N. This was a load of fun to do and so it’s up for free on Gumroad but you can also drop us some shekels if you’ve got them to spare. If not, just enjoy. 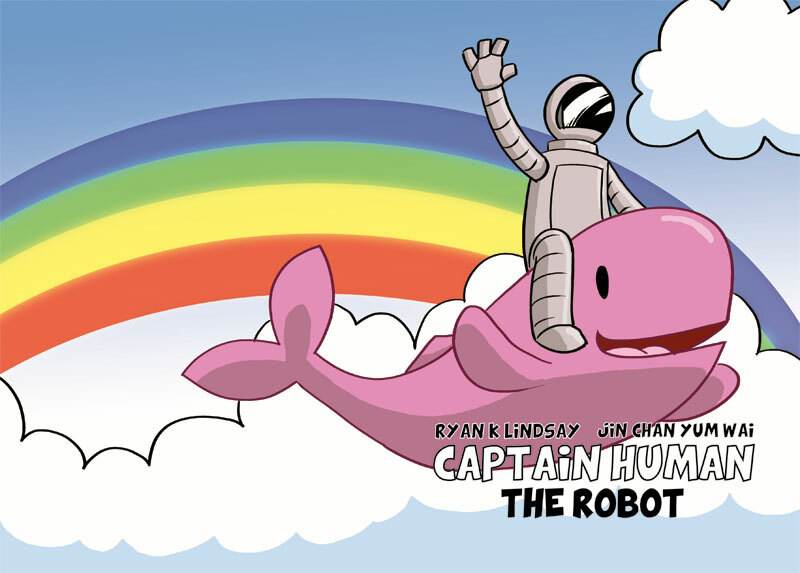 You can buy CAPTAIN HUMAN THE ROBOT – ALL AGES EDIT for FREE right now! 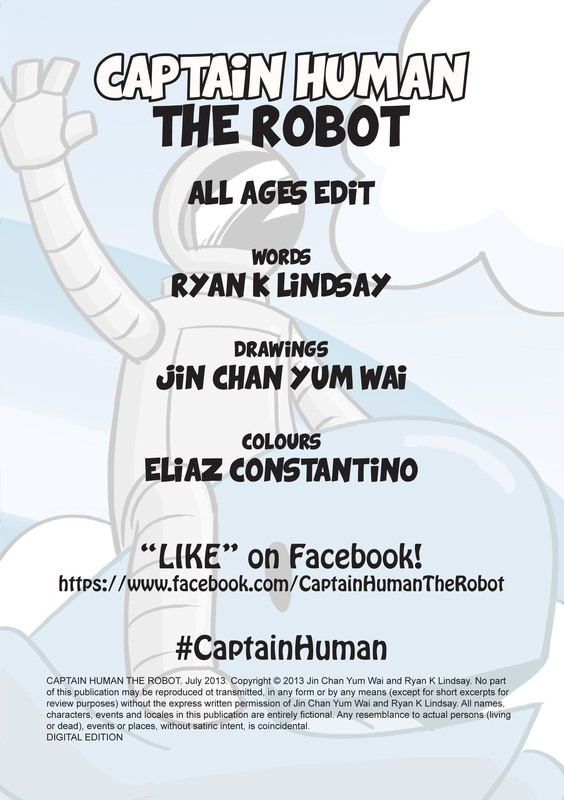 PURCHASE CAPTAIN HUMAN THE ROBOT – ALL AGES EDIT on Gumroad now! 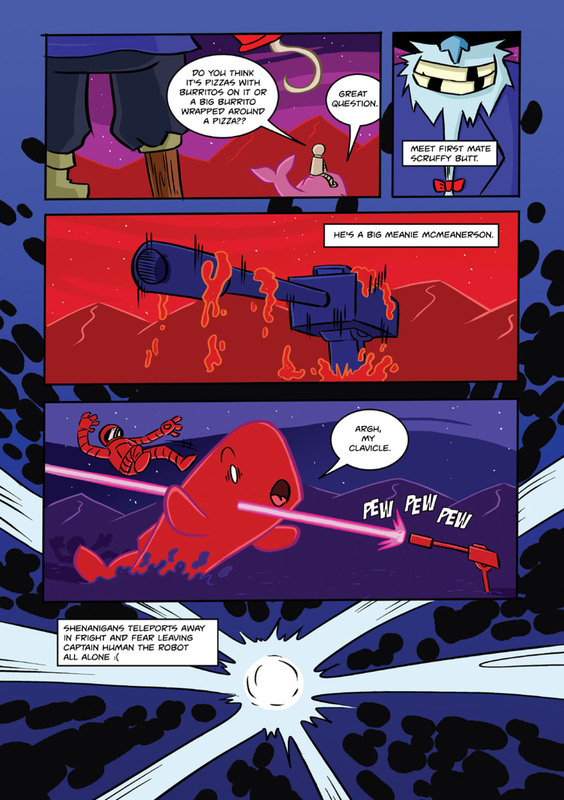 This book is an insane jam by Jin Chan Yum Wai and myself. It’s fun and kooky and completely available for kids of any age. 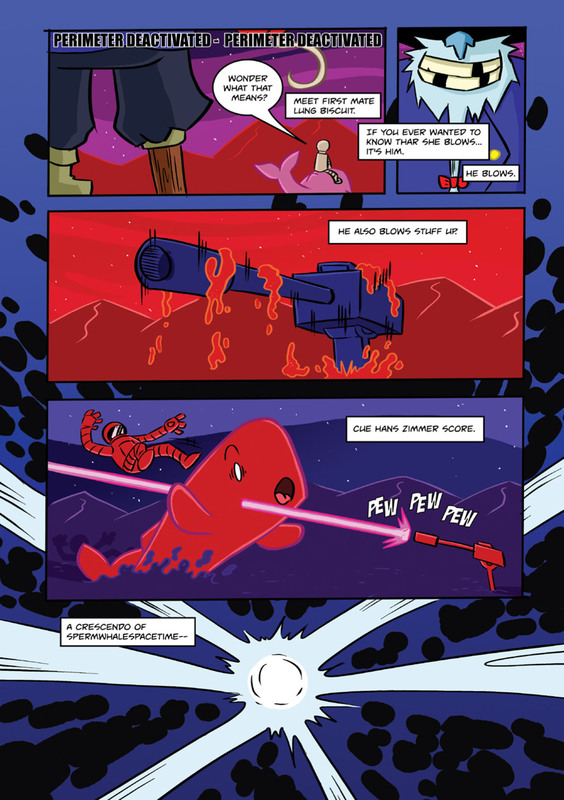 It’s an 8 page story where Jin drew it and then I formed a story around the pages – Marvel method, if you’re in the know. 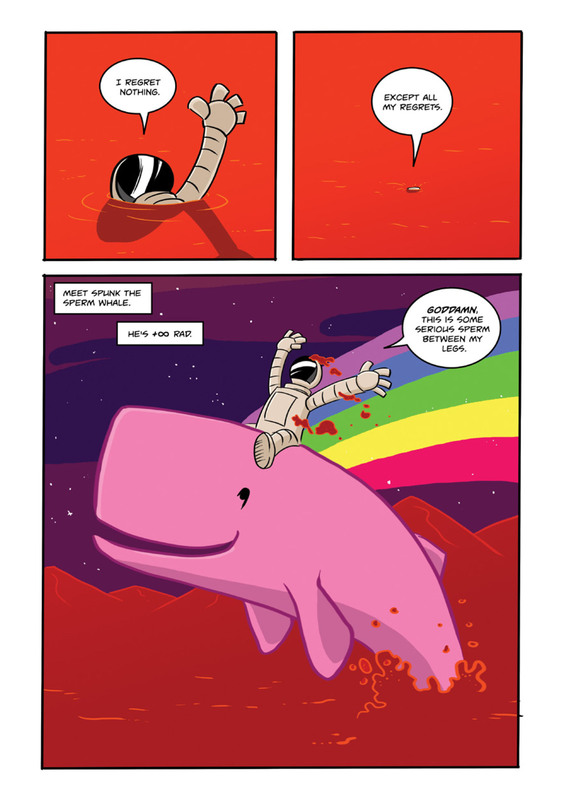 It’s wildly funny, a little silly, and completely F.U.N. Ghost Town #4 brings to a close the 3 issue arc from Daniel J Logan and myself running from issues #2-4. 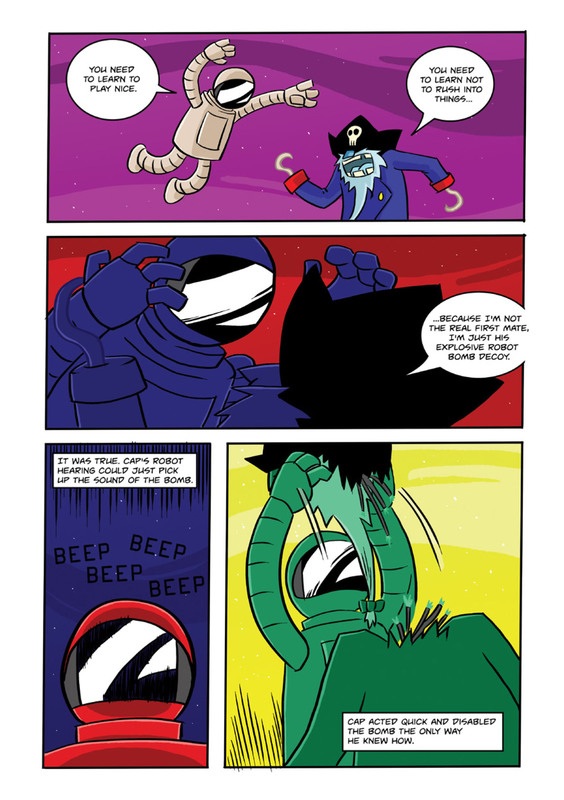 This issue is in Previews now and will land on shelves in November, straight out of Action Lab’s Danger Zone line up. Here’s the gorgeous cover from Justin Greenwood + Jordie Bellaire – click to scope up close. I really dig the simplicity and yet narratively tied image Justin has dropped here. I think Ghost Town has had one of the best runs of covers of all the books on the stands. 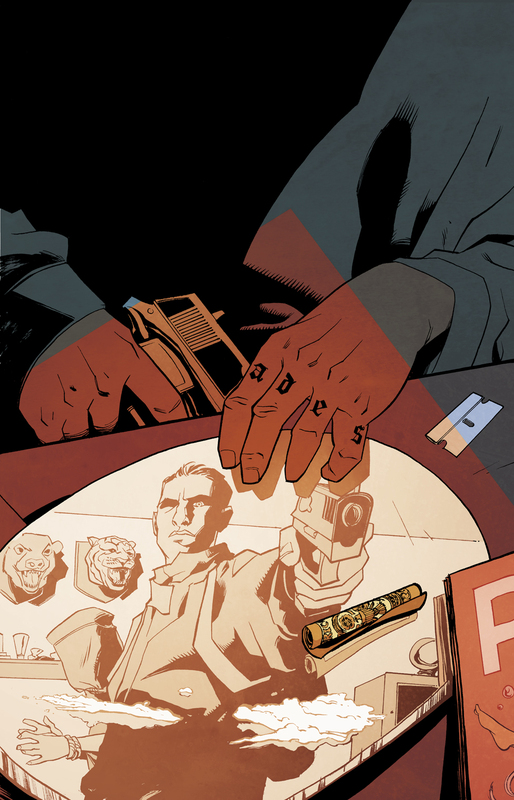 Issue #2 is already in stores and #3 is just weeks away. Response to #2 was great so I hope you’ll stick with us to see how we wrap this little tale of Nate Lawson taking more from the Rad than he ever should have attempted. The end of this arc is brutal and was one of the first things I pitched when I got this gig. 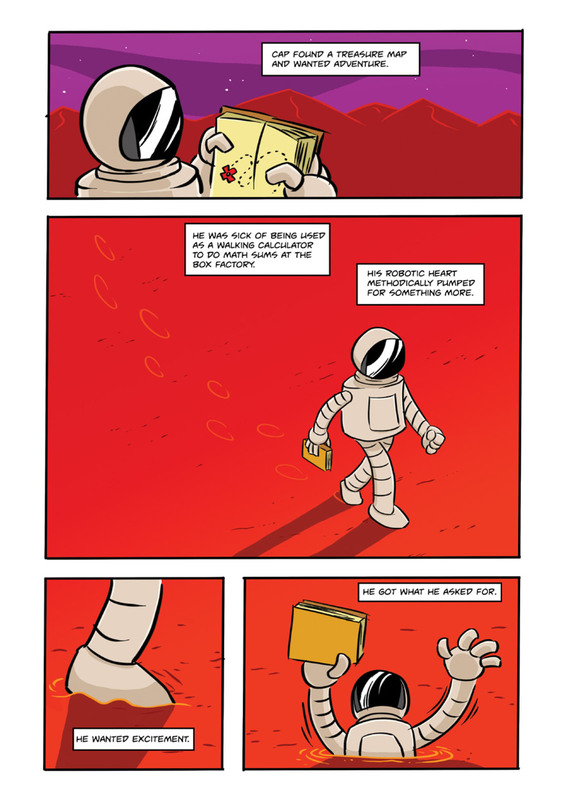 I hope you enjoy, and please do preorder through your LCS as demand regulates the print run. 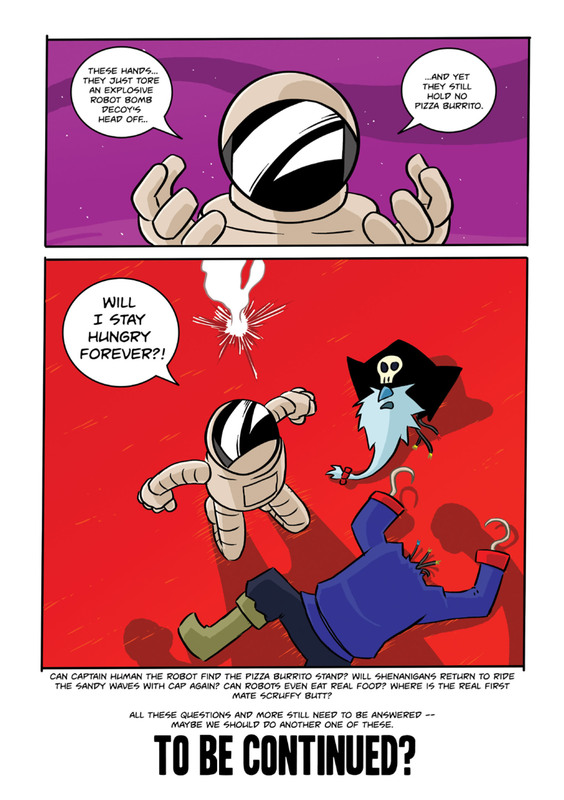 Preordering guarantees you a copy of the book, it helps indie books live a longer life, and it helps assure the creators they might just get a few shekels for their hard work. Just ask the friendly staff at your local comic shop to set you aside a copy of Ghost Town and they’ll take care of the rest.